Managed service providers (MSPs) and independent software vendors (ISVs) can personalize their services with the Parallels Client white labelling capability. This can help organizations promote their brand to end users. MSPs and ISVs can promote their brand to customers by offering their services through Parallels RAS while displaying their logo. MSPs can provide an integrated environment to their customers, making them feel part of the organization by working under a familiar logo. 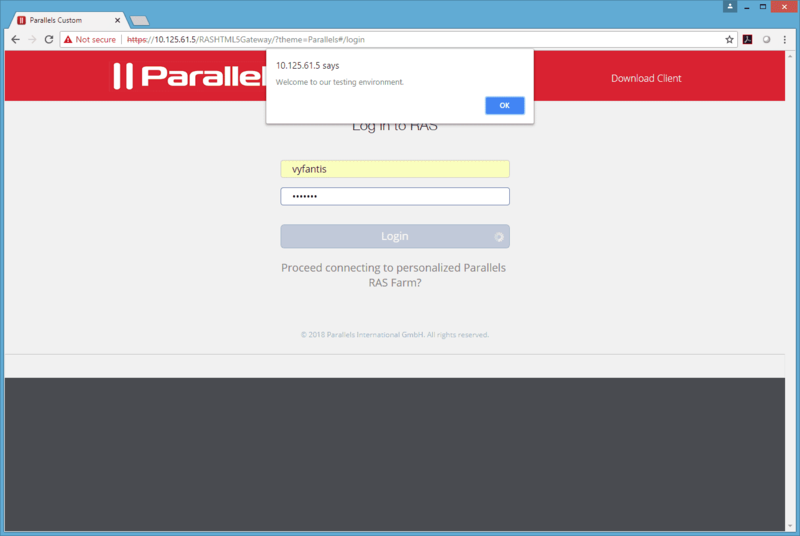 Parallels RAS publishes applications, desktops, and files from a central server-farm, making them available on any device through the native OS-specific Parallels Client or any HTML5 browser. Keep employees’ productivity high by providing the same workspace experience no matter the device or location. MSPs and ISVs can personalize the Parallels HTML5 Client’s appearance to reflect and promote their brand color scheme and logo. Increase user productivity by providing access to published resources from anywhere through any HTML5 browser, all while working seamlessly under the same environment. The Parallels RAS Console provides IT with the granularity to create different personalization schemes for different users and user groups. 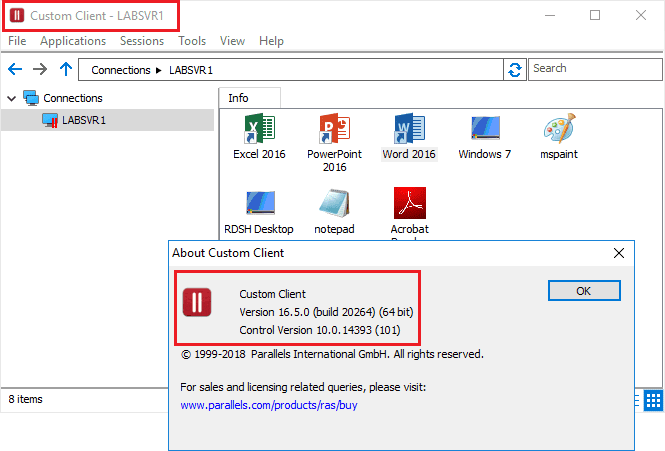 Through the Parallels Client, MSPs and ISVs can customize the Client look to reflect their branding while providing their services through a Parallels RAS infrastructure. In addition, the Parallels Client offers the ability to apply different themes for different departments within an organization. This provides a consistent look in every aspect, improving the end-user experience. Version 16.5 introduces the ability to rebrand the Parallels Client for Windows. Only Client binaries will be re-branded. The Windows Client can have the same branding as the HTML5 Client. The look and feel of Parallels Client for Windows can now be personalized, displaying a logo on the login screen. Try Parallels RAS today with a 30-day fully featured trial.